Any weekend with a band from Ellen Lease and Pat Moriarty and a visit from Kelly Rossum bodes well for the week! Expatriate Minnesotan Kelly Rossum is finding interesting work in New York these days but is taking time to play with the jazz ensembles at St. Olaf on Friday night (4/30) and Sunday afternoon (5/2) before summoning his spontaneous improv chops for a set of creative merrymaking with drummer Phil Hey at the Clown Lounge on Monday night (5/3). They’ll reprise the collaborative fun which they recorded as Conflict and released last August. Fun and collaboration are on stage at the Southern Theater Friday night (4/30) for the second night of So Percussion, an innovative quartet scheduled to coincide with the International Marimba Festival on the U of M campus. 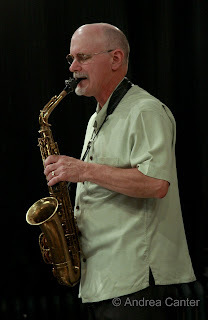 Also on Friday night (4/30), the Ginger Commodore Quartet is back to the Dakota, with Lee Blaske on keys, Mark Weisberg on bass, Bobby Commodore on drums and Peter Vircks filling the sax chair. Ginger’s golden voice guarantees an evening of diverse moods and stellar songs. Come Saturday it’s the last installment of this season’s “Tonight at Noon” series at Studio Z in St. Paul’s Lowertown, a string of experimental jazz gigs led by Ellen Lease and Pat Moriarty. This finale brings the pianist and saxophonist together with Adam Linz and Phil Hey—making it a quartet of the finest improvisors here or anywhere else. No one knows where it will go, but it will be great fun to be on the ride. Friday and Saturday at the Artists Quarter, it’s a Peterson Party, this time led by keyboardist/producer Ricky with brothers Billy and Paul, sisters Patty and Linda, nephew Jason DeLaire, and perhaps mom Jeanne… and who really knows how many Petersons can fit on the AQ stage? 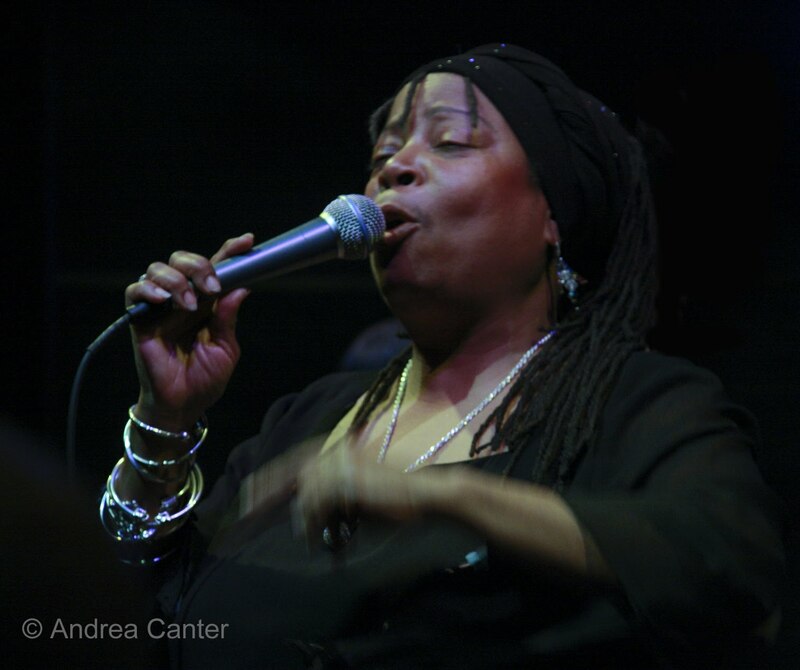 Other special gigs this week include the Dakota debut of vocalist Rachelle Ferrell, known for a six-octave range and creative takes on pop tunes and standards. She comes in for two nights, May 5-6. Another debut takes place across town as the Twin Cities Jazz Society launches its Young Artists Series on Thursday night at the Artists Quarter at 7 pm with the MacPhail Advanced Jazz Ensemble. This series will feature a middle, high school or college level band approximately six times per year as an early set on the first Thursday of the designated month. The student artists will be followed by the regularly scheduled set at 9 pm. No cover! The first band, directed by Bryan Nichols, features Thomas Strommen on sax, Kai Olstad on piano, Jordan Jenkins on bass and Sean Powers on drums, all students in area high schools. Very disappointing, it seems the cool lower level bar, Honey, in the old Jitters space, is booking very little if any jazz this month. On the other hand, the Artists Quarter is booking four national acts…. The scene is constantly changing! Coming soon: Laura Caviani’s tribute to Mary Lou Williams at the AQ (May 7-8); Tessa Souter at the AQ (May 12); Bobby Lyle at the Dakota (May 12); the Dakota Combo at MacPhail (May 13); Jeremy Pelt at the AQ (May 14-15); Schubert Club/Dakota Foundation for Jazz Education Jazz Piano Scholarship Competition, finals at the Dakota (May 16); Christian McBride’s Inside Straight at the Dakota (May 16-17). I’ve always loved the clarinet. One of my very first jazz albums was Pete Fountain’s Licorice Stick. I think I was about nine years old. My dad picked it out for me, but I’m not sure why this particular album or even the clarinet. But it made a lasting impression. Maybe 15-20 years later I discovered Richard Stoltzman, a classical clarinetist who also did some jazz and Brazilian music. Strangely, perhaps, I have not delved very deeply into the jazz clarinet canon. I have classic recordings of Benny Goodman and Artie Shaw, like any good jazz enthusiast. I have several modern recordings of Don Byron. But it took Anat Cohen to wake me from my clarinet slumber. I was right when I was merely nine. The clarinet is a gorgeous instrument. It’s time to hear it again as a leading jazz voice—a modern voice. I suspect there are 200+ people who will agree with me after hearing Anat Cohen at the Dakota last night. Hers was a pleasing premise—salute the great Benny Goodman, play his songbook, but do it filtered by the pace of the 21st century, the rhythms of global cultures. And bring together a band of compatible, virtuosic performers who share a passion for musical expression regardless of artistic origins. Cohen, nothing less than a virtuosic performer and elastic improviser, assembled one of the most satisfying bands I’ve heard yet—the ever-swinging Benny Green on piano, the master pulse-setter Peter Washington on bass, and the king of time and space, Lewis Nash on drums. Last summer they recorded their Goodman interpretations live at the Village Vanguard, releasing the CD last month as Clarinet Work on Anzic Records. Reunited at the Dakota, the quartet tore through Goodman classics, some that have become so commonplace that they are often played on auto pilot—“Sweet Georgia Brown,” “Body and Soul,” “St. Louis Blues.” No auto pilot at the Dakota. Cohen and company treated these old chestnuts with the respect of original compositions. But it was respect augmented with new twists and turns, alterations in tempo, in rhythm, in harmonies such that often these familiar melodies were suddenly transformed into modern masterpieces. Cohen is perhaps the most expressive reed or brass player I have ever experienced. 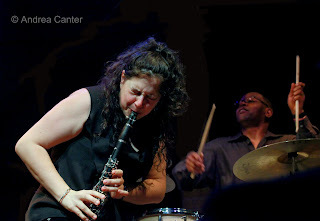 Not only does her clarinet cover a full range of human emotion, but so do her facial expressions, somehow clearly visible despite that mouthpiece. She sways like a dancer, the clarinet a diminutive partner that she swings up, down, over, under. She covers a good deal of the stage in the course of a tune. I’ve seen horn players, particularly trumpeters and some saxophonists, who kick their feet, swing a leg, wave an arm as an added physical expression of the music. 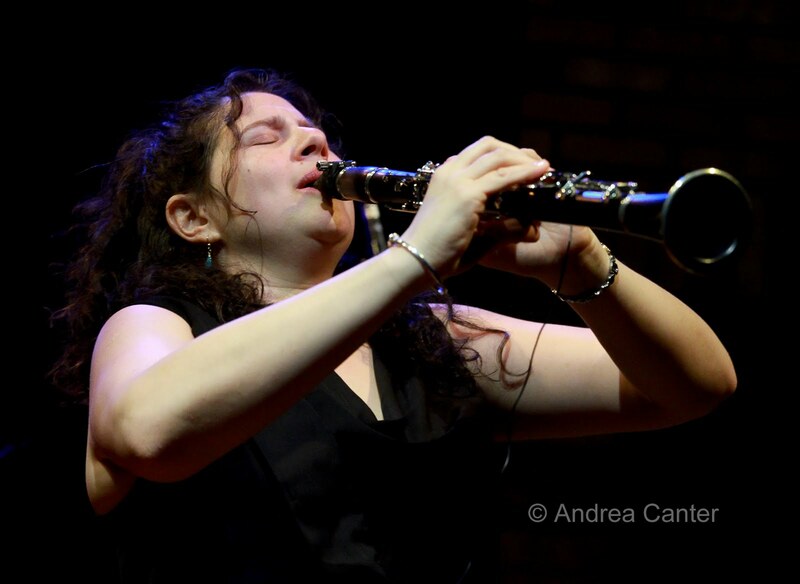 Anat brings that sense of physical abandon to the clarinet. You can hear it in the music – that letting go of all conscious decision-making, reacting in the moment, for the moment. Her compatriots are kindred spirits. Benny Green contorts and grins at the keyboard. Lewis Nash flails and grins even wider behind the trapset. 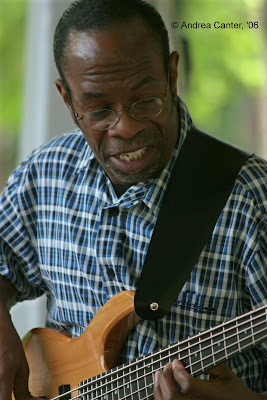 Only Peter Washington seems to have a well of reserve and more or less deadpan at the bass—but his playing belies the calm. This night provided a good reminder of where jazz came from in the first place—not from charts, not from fake books. From the heart and soul. And it doesn’t matter if the vehicle is a 1930s popular song or a 21st century free improvisation. Or both at the same time. Another big weekend in local jazz. In fact the four events highlighted in this morning’s Strib (which is two more than the average number of jazz events listed each week) are just the tip of the iceberg. Just recognize up front you can not do everything; pretend you are in New York and need to carefully prioritize, organize, and live with your choices. And whatever you choose, you will have a great weekend! The big clubs have big gigs tonight and Saturday (4/23-24): In St. Paul, the energetic brassmen of Snowblind perform at the Artists Quarter in what has become a too-rare gathering in the past year. After two strong recordings and much acclaim for their live gigs, their schedules have not permitted much collaboration lately. Aided by bassist Graydon Peterson and drummer Reid Kennedy, the front line of Adam Rossmiller (trumpet), Scott Agster (trombone) and Shilad Sen (saxophones) blows some of the most sophisticated and intriguing brass harmonies around, and their arrangements as well as numerous original compositions are the substance of a very satisfying evening of accessible modern jazz. Across the river at the Dakota Jazz Club, Cuban fireball pianist Nachito Herrera takes his usual monthly show and turns it into another “Live at the Dakota” recording session. The usual suspects are likely to be on hand, including equally explosive drummer Kevin Washington and rising vocalist, daughter Mirdalys Herrera. One of the premiere big bands in the Midwest, the JazzMN Big Band closes out its concert season Saturday night (4/24) at the Hopkins High School Performing Arts Center with special guest, trumpeter Bobby Shew, and locally-based, internationally beloved songbird Connie Evingson. (See Tom Surowicz’s feature article in today’s Strib!) Shew is best known for his solo work with big bands, but his music has been heard for years on film and television soundtracks. With JazzMN, Shew will bring us not only some favorite standards but some new music from German and Belgian composers. For her part in the program, Connie will give us an arrangement of Clifford Brown’s “Dahoud.” It’s never business as usual with a JazzMN concert! 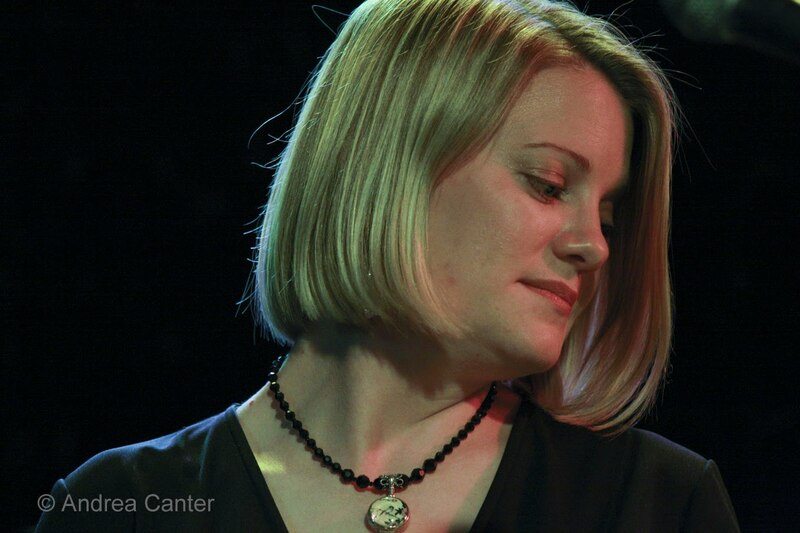 Sunday (4/25) offers far more options than usual, and of course they conflict with each other: The Twin Cities Jazz Society brings another of its Jazz From J to Z concerts into the city with “Blue,” a vocal showcase featuring Katie Gearty, Nancy Harms and Rachel Holder at the Capri Theater (3 pm). The revue strings together songs that explore the many connotations of “blue” – the blues, the feeling, the color. 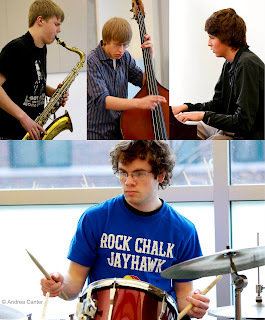 First class rhythm section features Tanner Taylor, Graydon Peterson and Jay Epstein. Back in St. Paul at the classy Commodore Hotel, also at 3 pm, Alma Brasileira (Joan Griffith, Clea Galhano and Lucia Newell) release their sparkling tour of Brazil, Circle of the Dance, music drawn from the great Brazilian composers from Jobim to Pix as well as Joan Griffith originals, with lyrics from Lucia Newell and Janis Hardy. The results are elegant, particularly the combination of guitar and recorder; Lucia’s voice has never been more beautifully highlighted. The trio are joined by Laura Caviani on piano and Gary Gauger on percussion, and a few of Joan’s guitar students will join the party. Joan warns that the Brazilian drinks to be served are far more potent than they first appear! A couple events out of the ordinary this coming week: On Wednesday night (4/28), author Quincy Troupe (Miles: The Autobiography, and the Peabody Award-winning The Miles Davis Radio Project) will talk and read from his work at Coffman Union on the U of M campus as part of the NOMMO African American Authors series. Also on the U of M Campus at Ted Mann Concert Hall, two back to back concerts highlight the Marimba 2010 International Festival. On Wednesday night (4/28), “A World of Marimba” brings together some of the world’s top marimba artists in a free performance; the next afternoon (4/29) at Ted Mann, you can hear the U of M Symphony with marimba artists. Connected to the festival, on Thursday night (4/29), the Southern Theater presents So Percussion, a mallet ensemble from Brooklyn premiering two new works. 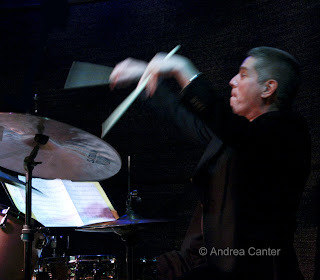 And on the subject of mallets, remember that Dave Hagedorn, my favorite mallet guy on the planet, appears with Pete Whitman’s X-Tet nearly every month at the Artists Quarter, and this month the date is Wednesday (not Thursday!) at the AQ (4/28). There’s more in town all week, our usual bevy of vocalists and instrumentalists from swing to free. Check Pamela’s calendar on Bebopified (www.bebopified.blogspot.com) or the Twin Cities Jazz Society calendar (www.tcjs.org) or look for highlights on Jazz Police (www.jazzpolice.com). Coming soon: Ellen Lease, Pat Moriarty, Adam Linz and Phil Hey at Studio Z for some free improve on May 1st; Ricky Peterson and family at the AQ (4/30-5/1); Kelly Rossum and Phil Hey duo at the Clown Lounge (5/3); Rachele Ferrell at the Dakota (5/5-5/6); Laura Caviani’s salute to Mary Lou Williams at the AQ (5/7-8). My allergies are keeping me inside during this gorgeous weather, but that just means jazz has no competition this weekend. Not that it would anyway—Chick Corea and Gary Burton? ‘Nuff said? This will be Chick Corea’s second visit to the Dakota in little more than six months, but it has been about five years since Gary Burton came around. And when did we last see Corea and Burton together here? I remember a gig, maybe at Walker or Guthrie, in the 90s? For nearly 40 years, this has been of the most exciting pairings in modern music. Their first performances together in 1972 led to the landmark recording, Crystal Silence; in 2008 the pair released the Grammy winning-double CD, The New Crystal Silence. This weekend (4/16-17) at the Dakota should bring back memories and generate some new ones. It’s not easy to compete with Corea and Burton, and hopefully jazz fans will find a way to enjoy the legends while also taking in our local legends as well as new stars on the rise. 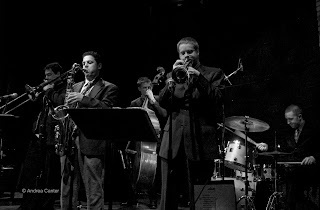 Not widely publicized, the MacJazz Big Band from Macalester's music program, directed by Joan Griffith, shares the stage with premiere vocalist Connie Evingson tonight (4/16) at Janet Wallace Auditorium in a free performance. It's sort of a warm-up to Connie's performance next weekend with the JazzMN Big Band, including some new charts from trombonists Wade Clark and Michael Nelson. The inimitable and inventive duo of Anthony Cox and Dean Granros performs at Café Maude on Friday night (4/16), while the James Buckley Trio will be celebrating their third CD at the Artists Quarter (4/16-17). Bassist Buckley covers a wide swath of American music via his affiliations with about a dozen bands at any given moment, and pianist Bryan Nichols and drummer JT Bates round out one of hippest ensembles in town. Over north at the Capri Theater on Saturday (4/17) and Sunday (4/18), perennial baritone favorite Dennis Spears will record live in a concert setting with a dream band of Sanford Moore, Jay Young, Darryl Boudreaux and Steve Jennings, covering tunes from Broadway hits, while out west in Plymouth, the unique Café Accordion Orchestra with Dan Newton performs as part of the Jazz@St. Barney’s series on Saturday night (4/17). When there’s someone new in town, on the jazz scene, it’s always a plus for the community. Monday night, we have an opportunity to hear a seasoned vocalist with Big Apple credentials who recently relocated to the Twin Cities –Joyce Lyons. Joyce will be at the Dakota (not an easy gig to get for a newcomer!) with the Tanner Taylor Trio. I’ve been listening this morning to her 2004 release, Sooner or Later, and it’s a delight. Joyce will soon release Live at the Metropolitan Room (yeah, the one in Manhattan). Maybe next up is Live at the Dakota? Veterans of a local bent sparkle at the AQ this week—in addition to the Tuesday Night Band (4/20), Framework featuring Jay Epstein, Chris Olson and Chris Bates returns on Wednesday night (4/21), while across town, master of home-made instruments and all things wind and percussion, Douglas Ewart, performs electronic wizardry at Honey’s late set (4/21). There’s exciting opportunities in the world of global music, with second generation sitar master Anoushka Shankar at the Dakota on Tuesday (4/20), followed by Brazilian pop songstress CéU the following night (4/21), and Israeli jazz flautist Mattan Klein visiting at the St. Paul Jewish Community Center on Thursday (4/22). Fine voices this week – in addition to Joyce Lyons (4/19): Friday night brings us Connie Olson and Xtended Play at School II in Chanhassan; Sophia Shorai at Honey. Saturday night, Aaron Keith Stewart croons at the Hat Trick. Sunday, Charmin Michelle doubles at Crave in the West End and Cinema Ballroom, while Nancy Harms appears at the Red Stag with Bryan Nichols and Chris Bates. Monday (4/19) is the usual for Charmin Michelle and Denny Malmberg at Fireside Pizza (repeated on Wednesday). Lots of song Tuesday night (4/20) with Debbie Duncan joining Mary Louise Knutson at Camp Bar; Rachel Holder at Hell’s Kitchen; Paula Lammers at the South St Paul VFW. 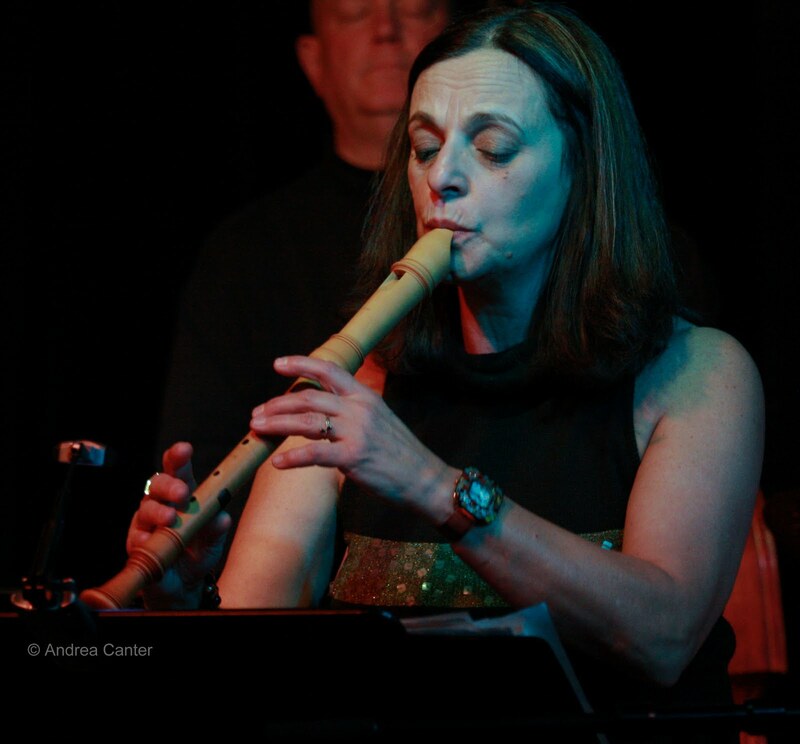 Wednesday (4/21), Barbara Bjork with Reynold Philipsek at Sage Wine Bar. Thursday night (4/22), Maud Hixson returns to Erte with Reynold Philipsek (he’s busy!). Holding down their usual gigs, remember Joann Funk and Jeff Brueske at St Paul Hotel Lobby Bar, Friday/Saturday nights; Benny Weinbeck at D’Amico in the Chambers Hotel (Friday/Saturday); the Fantastic Merlins at the Black Dog on Friday; Zacc Harris Trio at Riverview Wine Bar on Sunday; the best of local experimental music at the Clown Lounge on Monday and Tuesday nights; Cory Wong Quartet and Tuesday Night Band at the AQ on Tuesday. Coming soon – what a weekend! Nachito Herrera live recording at the Dakota (4/23-24); Snowblind at the AQ (4/23-24); JazzMN Big Band in Hopkins (4/24); Joan Griffith/Clea Galhano/Lucia Newell CD release at the Commodore Hotel (4/25); Anat Cohen Quartet with Benny Green at the Dakota (4/25); Soul Cafe reunites (4/25). Photos: (top to bottom), Chick Corea; Dennis Spears; Joyce Lyons. Chick and Dennis by Andrea Canter; Joyce courtesy of her website. Every year, going back at least six or seven it seems, the MacPhail Center for Music holds an unusual fund raising luncheon to build resources to support its financial assistance and outreach programs. MacPhail relies on an approach to charitable giving known as the Benoven Model, which is the most gentle means of arm twisting imaginable. In fact it is more like hand shaking than arm twisting. It goes something like this: Start with a core of supporters who run the gamut from the ultra wealthy patrons of the arts to ordinary folks who are involved as instructors, students or casual admirers or the MacPhail programs. Ask them to invite friends and colleagues who share their interest in music for lunch—no ticket to buy, no pledge required. Just come for an hour, enjoy a light meal, be entertained by a sampling of student performances and listen to a few brief (really!) testimonials and comments about MacPhail. At the end, hand out donation sheets and envelopes, collect any that are filled out, let guests know they can send something back at any time, and then do not ever call them asking for money. Maybe they will donate next year. Using this approach, MacPhail has been raising $400,000 and more at the annual Music Matters Luncheon. And it all goes toward supporting students and community programs—corporate donations cover the cost of the luncheon. Along the way, a lot of people have been awed by the beneficiaries of this funding and the scope of MacPhail’s efforts to bring music to the community. Today MacPhail serves over 8,000 students, from infants to centenarians, from Suzuki violin to gamelan ensembles, from hip hop to arias, from the music of Charles Mingus to the preludes of Bach. Nearly half of those 8,000 students receive some degree of financial assistance from MacPhail. 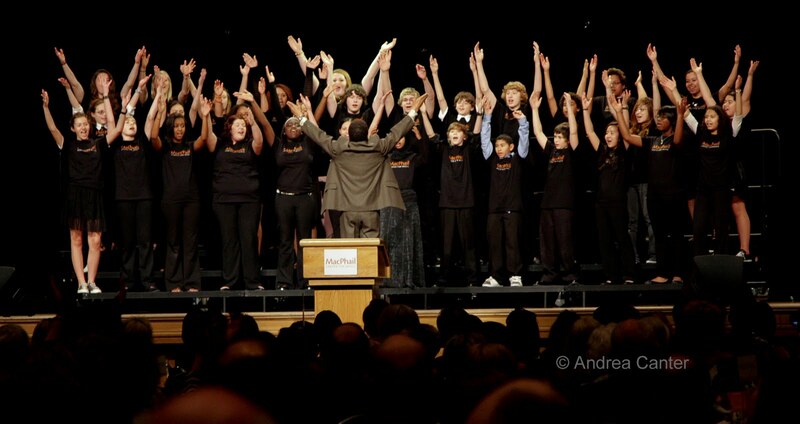 One of the largest community music schools in the country, the program philosophy is simple—music is for everyone. My involvement with MacPhail is relatively small. I’ve attended jazz concerts, a few master classes, maybe five jazz appreciation classes. I’ve heard trumpeter Ron Miles, vocalist Janice Borla, pianist Anat Fort, the Kelly Rossum Quartet, Jazz Is Now, Sisters in Song, and more. I’ve learned some jazz history, discussed Miles Davis and Ornette Coleman, and listened to the nuances of Kind of Blue. Some are third generation MacPhail students. Some have stories about grandparents who studied or taught at MacPhail. It’s been part of the cultural fabric of the Twin Cities for more than a century. They have a shiny new state of the art building and performance space, but none of the building costs came from this annual fund-raiser—those funds support students directly, not stages or wages. That’s why I have been a table host or co-host. I want my friends who love music to know MacPhail. My other involvement with MacPhail has been through the Dakota Combo as a member of the Board of the Dakota Foundation for Jazz Education. 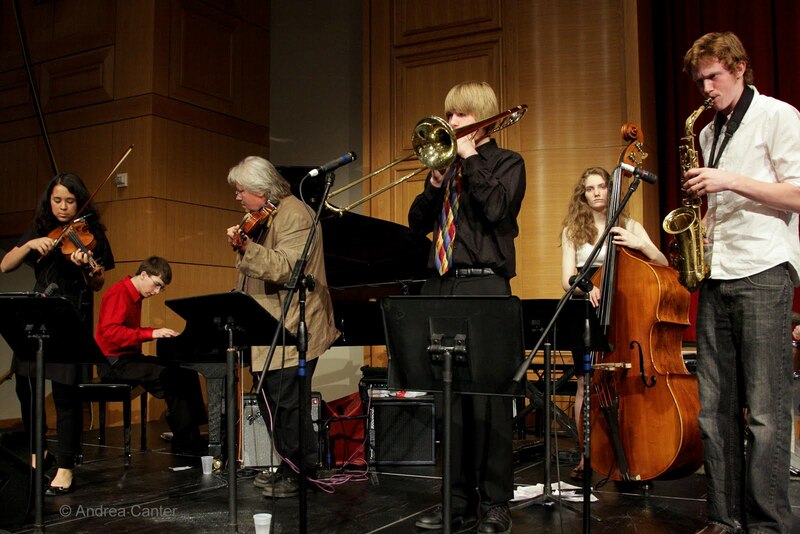 The Dakota Combo is a MacPhail student ensemble that receives its primary funding through the DFJE. It’s a true community partnership. Naturally the Combo has been called upon to entertain at MacPhail functions, like the Music Matters Luncheon. This year the Combo played on the Convention Center stage as about 1,000 came in to find their table and host. The Combo rhythm section was on stage to support one of the newest MacPhail projects, the Gospel Choir directed by J.D. Steele. And as guests left, the Combo played another half hour set, this time with master violinist Peter Ostroushko. (How many jazz bands have two violins? Here the Combo had its own Zosha Warpeha in tandem with Peter O.) Normally director Adam Linz would have been right there supporting his teen charges, but Adam was busy playing bass for MacPhail’s hip hop ensemble in the lobby. But by now, the Combo is quite able to self direct. The Combo was not the only exemplary reflection of the MacPhail program. The luncheon opened with a young college graduate who found her operative voice at MacPhail. Her aria from Gianni Schicchi by itself was reason to fill out the donor card. 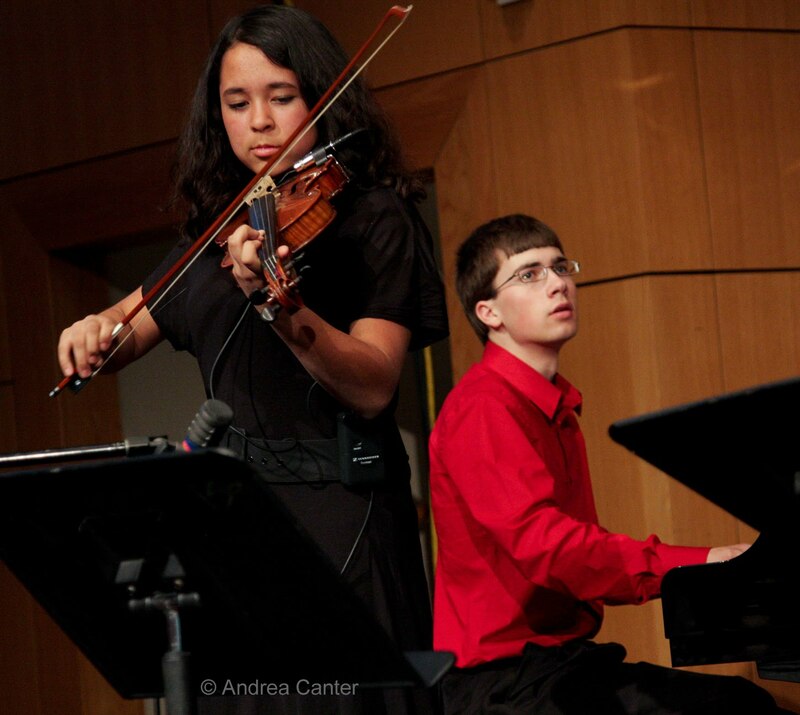 Later in the program we saw a moving video of two brothers, now in their teens, whose classical music talents have been nurtured through the financial aid available at MacPhail. 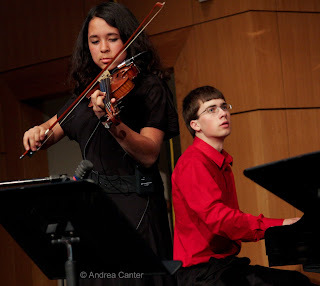 Then, live stage, the brothers (violin and piano) gave us yet another reason to be part of the MacPhail family. The new gospel choir was yet another, bringing together not only a diverse body of young singers but also bringing together the jazz and voice programs. It’s the sort of community benefit that makes you want to sign over the deed to your house, your first-born. Just this morning I read that the St. Paul Public Schools will eliminate music lessons for elementary school students as one of many cost-saving measures. Every year, MacPhail needs a longer reach. April 3, Nakatani with Linz and Bates at Rogue Buddha Gallery. Tatusya Nakatani is not exactly a jazz artist, he’s the ultimate improviser who mixes traditional Japanese percussion with a free jazz fervor. His Minneapolis debut at Rogue Buddha in early 2009 was one of my favorite music events of the year, and things were even more enjoyable the second time around. And around he goes, starting at one end of the apparatus (looks like a portable coat rack) from which he hangs two large gongs, and proceeding clockwise, engaging each gong separately and simultaneously with an array of bows and a mallets, then moving to face the audience as he takes position behind a stripped-down trapset. 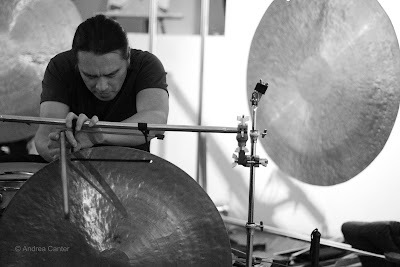 But it’s stripped down only in the number of drums, as Nakatani uses a smaller hanging gong, a variety of bowls and bows and other objects to create a wild array of sounds. Soon he’s in reverse, retracing his journey as he now moves counterclockwise, ending as he began with the most subtle reverberations from the first gong. From start to finish (about thirty minutes), there is a continuous wall of sound, building to thundering crescendos that mimic the near sonic assaults of industrial pounding. 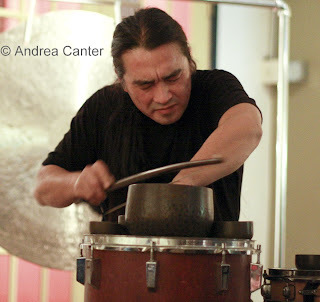 With bowls or even mouth on drum skins, he creates a very inhuman cacophony, his bows caressing or grating the edges of the hanging gongs, while his overgrown mallets make the most fleeting, gentle contact on the gong’s surface, setting up a final, lingering decay. More complicated is the second act, a collaborative improvisation with bassists Adam Linz and Chris Bates stationed on either side of the percussion array. The first few minutes make a gong trio, Linz and Bates the apprentices flanking the master Nakatani perched above the small gong and trapset in the middle. Soon the bassists take their percussion antics to their big fiddles, whose hollow bodies make fine drums, and gradually Chris and Adam are upright with their instruments, but still in percussive mode. As we learned a year ago, almost anything can be pushed between the bass surface and strings to dampen sound, almost anything can strike the strings at any point from neck to bottom to create odd tones. With Nakatani between them and going off into his own percussion fantasies, it is more difficult than watching a ping-pong match if you want to keep track of each musician. And it is worth the effort. Hopefully this is an annual event. 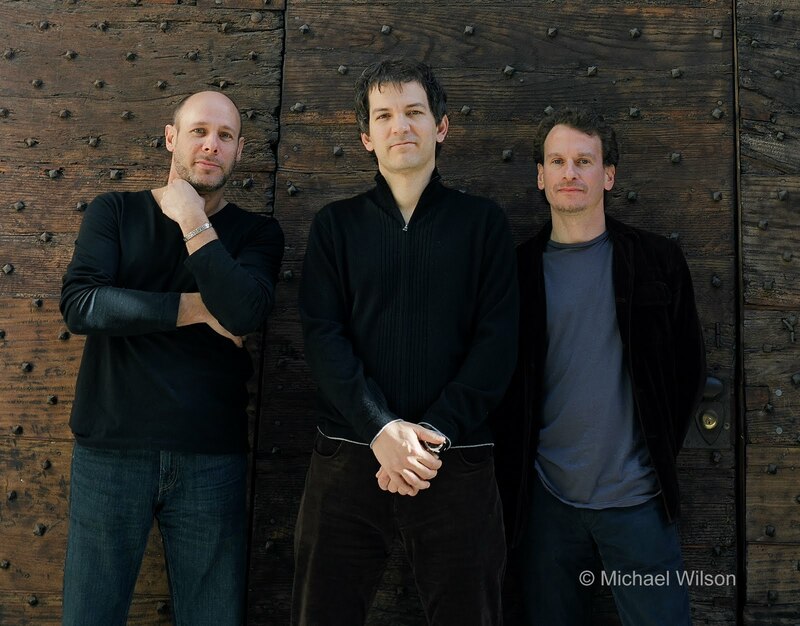 April 7, Brad Mehldau Trio at the Dakota. I’ve been a Mehldau fan since his first Art of the Trio recordings in the 90s, although in recent years I have been less enamored with his original works that sometimes move beyond lyrical fantasies to self-indulgent noodling, like the best and worst of (mostly early) Keith Jarrett’s solo exploits. Of late I find myself enjoying his reconstructions of standards more than his own compositions. I only got to one of his four sets this time, but found this far more enjoyable regardless of the repertoire. Mehldau just released a suite of original work commissioned by the St. Paul Chamber Orchestra (Highway Rider), to be premiered in concert format with the SPCO and Josuha Redman next November at the Walker. Each set at the Dakota, he gave a preview of that work, here in trio format. Whatever he plays, every Brad Mehldau note seems to have a defined space around it, giving his articulation precision, a single perfect sound in a sea of many such perfect sounds, regardless of tempo. Similarly, every musical idea has its own space, and on this occasion, those spaces were well connected, still mesmerizing but purposeful. Some compositions and arrangements have a deeply moving blues feel (e.g., Nick Drake’s “River Man”), another commonality with Jarrett; some are playful with a quirky urgency (Monk’s “Skippy”… I think, Monk was in definitely in the neighborhood). Perhaps oddly, given his reputation for both original and modern, even rock fare, my favorite of the set was a lush, spacious arrangement of “I Cover the Waterfront.” Mehldau, and his telepathic colleagues (Larry Grenadier and Jeff Ballard), cover the music front, caressing the melody, wrapping it in a warm blanket of just enough ornamentation. April 7, Easy Company at the Artists Quarter. Yes, it was a bit of a mad dash from downtown to downtown but the late start at the AQ helped. I left the Dakota thinking half the musicians in town were there for Mehldau’s late set. Arriving at the AQ, I noted much of the other half of the local instrumental jazzers were on hand to welcome the return of Bill Carrothers and hometown cohorts Jay Epstein and Anthony Cox. Apparently there were few local gigs Wednesday night. The pros were out admiring their heroes. As was I. Any evening that starts with Brad Mehldah and ends with Bill Carrothers is a rare and life-sustaining experience. “Easy Company” was the name of the trio’s CD, released about a year ago, and now the name of the ensemble of internationally acclaimed artists. 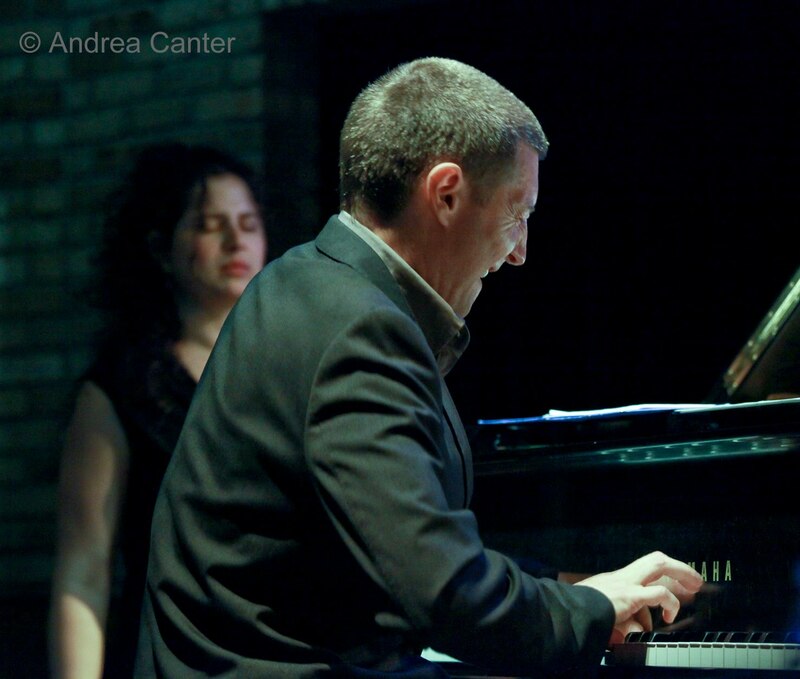 Carrothers can be as melodic and lyrical as Mehldau but typically more playful, more upbeat, and less subtle. He stayed inside the piano during the first set but his tactics were nevertheless unfettered by convention. Same applies to Cox and Epstein, two of the most creative agents of their respective instruments. In particular Cox took bow in hand more often than most, lending a cello-ish tone to several tunes. The first set included originals (Jay’s “Giza”, Bill’s “Peg”), intriguing covers by Carla Bley (“Ida Lupino”) and Alec Wilder (“Moon and Sand”), a quirky take on a songbook standard (“You and the Night and the Music”), and the closing triumph from John Williams, “Imperial March.” The surprise was a multi-faceted “Bye Bye Blackbird” with special guest, singer Nancy Harms. More about her in a minute. Mehldau appeared to a near sell-out on the other side of the river. In St. Paul, Easy Company had plenty of company, not close to sold out, but reasonably well attended not only by the local musicians but a larger group of what could be McNally Smith College students, young and mesmerized by three who serve as ideal role models for the collaborative spirit that defines jazz. 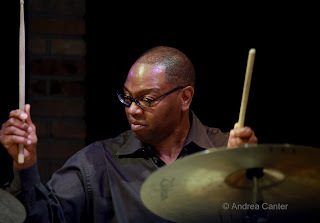 April 8, Bryan Nichols Trio with Nancy Harms at Barbette. One of the odd but true facts of jazz in the Twin Cities is that often the best music is booked into the least music-friendly spaces in town. Laura Caviani and her trio are nearly weekly performers at Crave in the Galleria, where the “stage” is a small (I mean, small) space across from the bar and the only time you will actually hear the music is when the crowd thins out after 10 pm and then, only if you are within ten feet of the musicians. Café Maude has become the Minneapolis scene of experimental music, presenting artists like Bryan Nichols, Chris Thomson, Fat Kid Wednesdays, and Ryan Olcott inside the din of a crowded southwest neighborhood restaurant. Add to the list Barbette, that hot and hip French bistro in Uptown where happy hour seems endless, where a weeknight at 11 pm can be as packed and boisterous as a sports bar at 6 pm. There is no stage, it seems they cleared out a table by a front window and strung a sound system. Actually it is a decent sound system…. If only you could hear the sound. With noisy table conversations surrounding you no matter where you perch, there is little chance to hear the magic from the band. Maybe if you sit right in front of the keyboard and mic? I was further back. Sometimes I could clearly hear Bryan and bassist Chris Bates. On occasion, I could also hear Nancy, as on “Softly as in a Morning Sunrise.” Sometimes I had to concentrate just to determine if the band was playing or on break. Tonight, Nancy Harms was testing out her recently recorded material in the more adventurous company of Nichols and Bates; now and then I could tell it was a very successful experiment that bears repeating in a more musically supportive setting. Like Carrothers, Bryan Nichols never met a note or a melody that he couldn’t effectively alter, and as an evolving vocalist, Nancy Harms is coming to the same conclusion—the lead sheet is a suggestion, not a blueprint. 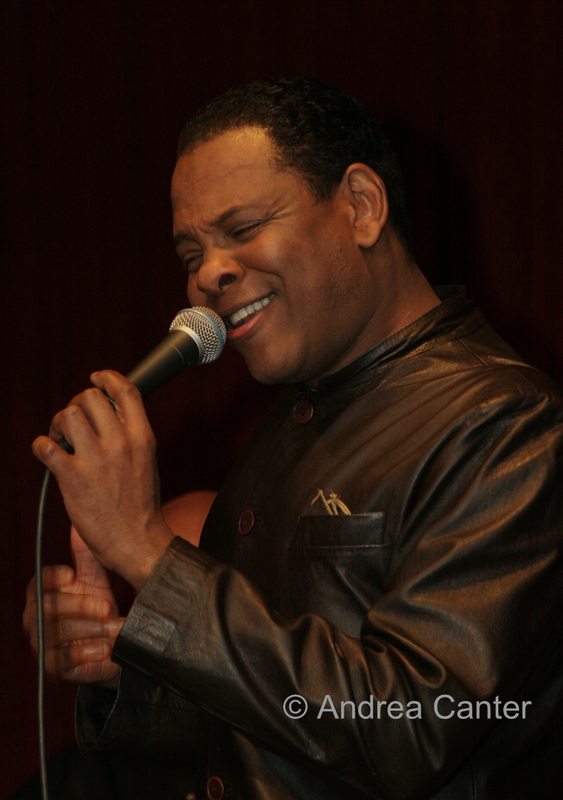 April 9, Jay Young’s Lyric Factory at the Artists Quarter. Honestly, I would have promoted this one more if I had more information and more time to find it. But knowing it was a Jay Young project was enough to put it on my calendar and trek over to the AQ Friday night. 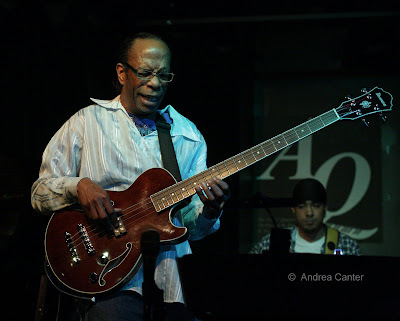 This was the second or third time that master bassist Young has left his sideman hat in the closet and donned the cape of bandleader in tribute to two of his favorites, Stevie Wonder and Michael Jackson. But somehow I missed the earlier presentations. Hopefully not again. With a McNally Smith tinged ensemble of Pete Whitman on sax, Kevin Washington on drums, Thom West on keys, son Ian Young on another bass, “Soul Testimony” (aka Lisa Washington) on spoken word, and vocalists Judi Donaghy, Sarah Greer and Michelle Michaels, the first set was devoted to Stevie Wonder. 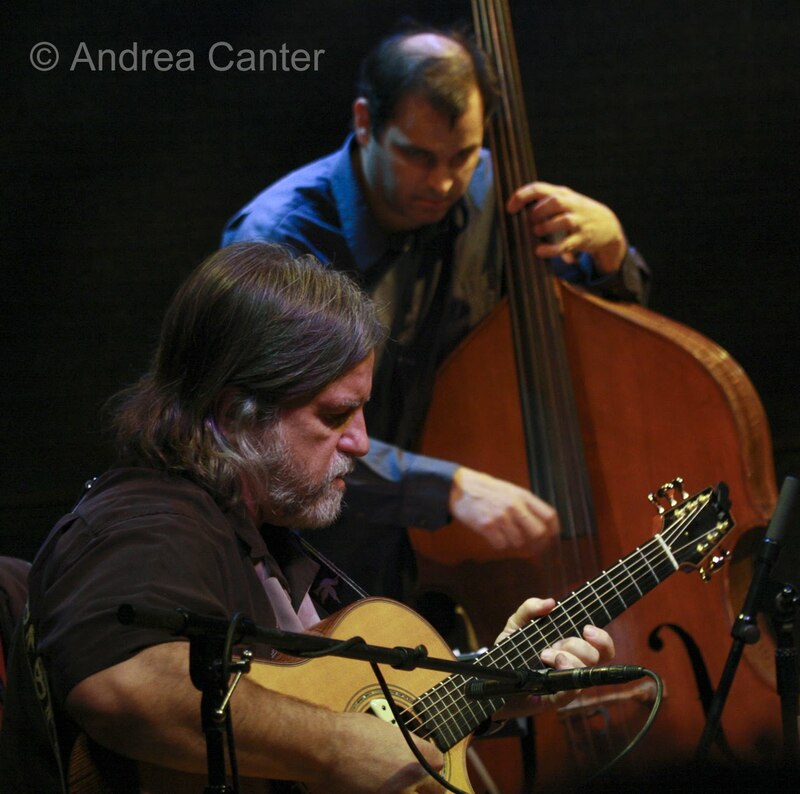 April 10, Danilo Perez and 21st Century Dizzy at Ted Mann. The closing concert of the Northrop Jazz Season was one of the best of the last five seasons, full of energy, virtuoso musicianship and stellar ensemble playing. It’s been a long while since Perez performed in the Twin Cities—at the old Dakota, and it has been a while since we saw David Sanchez and Rudresh Mahanthappa brandish their saxophones here as well. I’ve seen Ben Street in New York, not locally, and this was my first opportunity to see the amazing percussionist Jamey Haddad, drummer Adam Cruz and trumpeter Amir ElSaffar. Brought together to pay homage to Dizzy Gillespie, for whom Perez worked as a young member of Diz’s last United Nations Orchestra, the band is playing only six cities this spring, and hopefully will find time to record their efforts. Whether playing new arrangements of Dizzy’s music (“Kush,” “Manteca”), standards like “Round Midnight” or their own, each piece highlighted the band’s use of space as well as individual and collective tactics. “Kush” was a bit of “Night in Tunisia” meets “Afro Blue” and was distinguished by the tandem micro-stepped harmonies of the brass line; “Round Midnight” by the off-center rhythm that seemed to out-Monk Monk. Perez was a versatile leader, sometimes minimalist in his comping, sometimes playful. The focus of my attention was often Jamey Haddad. I can imagine him in a Las Vegas nightclub, asking patrons to provide whatever is in their pockets, turning ordinary “junk” into sonic artillery. Some of his tools appeared home-made or merely found, broomheads, rattles, little wooden structures as well as an assortment of sticks and mallets, used with discretion and surprise. Perez himself got into the percussion act, flipping the top of piano and even a simple cough to punctuate the closing “Manteca.” ElSaffar demonstrated a wide range of horn magic, from sharply defined solos to barely audible harmonizing. Dizzy would approve and eagerly join in. As the weather settles into spring, we spend more time outdoors, yet it is still too early to find music in the parks or other outdoor venues. So enjoy dinner on the deck and working in the garden, but do come inside later in the evening, ‘cuz that’s where the jazz will be this week! Pop icons Michael Jackson and Stevie Wonder get another dose of soulful excitement from bassist Jay Young, with his J.A. Young & Co. band reprising their fall extravaganza at the Artists Quarter (April 9-10). We’re so accustomed to seeing Young in a supporting role—it’s a treat to have this chance to see and hear him take the lead in honor of two of his heroes. At Ted Mann on the U of M West Bank campus, there’s another tribute with an all-star lineup as Danilo Perez brings his “21st Century Dizzy” project to town on Saturday (4/10). The Panamanian pianist and youngest member of Dizzy’s last U.N. Orchestra has assembled a band of global proportions (in talent and reputation), including Puerto Rican tenor saxophonist David Sanchez, Indian alto saxophonist Rudresh Mahanthappa, Lebanese percussionist Jamey Haddad, Iraqi trumpeter Amer El Saffar, American bassist Ben Street, and Puerto Rican drummer Adam Cruz. 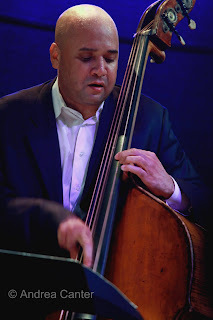 I last saw Perez with Wayne Shorter at the 2009 Detroit Jazz Festival—he can light a fire under anyone, and here he is working with red hot embers from the start! After a tribute to Dizzy, wander over to the Dakota for the Late Night show with young sax monster Dan Kusz showering honors on one of his heroes, David Sanborn. One-man band, percussionist extraordinaire Dosh is in town to celebrate the release of his CD “Tommie,” and fills the Jazz Thursdays slot for MacPhail…. on Saturday? I won’t ask, an artist like Dosh you schedule when you can. And if you can’t make it Saturday (you have tickets for Perez, right? ), Dosh is on stage at the Bedlam Theater on Monday night, too (4/12). The venue is not all that music-friendly but the compositions and fresh 21st century “dizzying” sounds of the Bryan Nichols Quartet make it worthwhile at Café Maude on Friday night (4/9) – but be advised to make a reservation! Tuesday night brings another great jazz film, this time screening at the Sabes Jewish Community Center in St. Louis Park with “The Jazz Baroness,” Pannonica Rothchild de Koenigswarter, known simply among such jazz legends as Monk as “Nica.” Having just finished the Robin Kelley tomb on Monk, I have a new appreciation for the influence of one of the most significant patrons of jazz. The screening is cosponsored by KBEM, home of REEL Jazz. The rest of the week is filled as always with instrumental and vocal delights, from George Maurer (4/9) and Debbie Duncan and Fred Steele (4/1) to Madeleine Peyroux (4/12-13), Gil Scott Heron (4/14) and Richie Cole with Five by Design (4/15) at the Dakota; from the Tuesday Night Band (4/13), How Birds Work (4/14) to the Dave Karr Quartet (4/15) at the AQ. There’s a lot more jazz around town, check out Pamela’s calendar on Bebopified (http://www.bebopified.blogspot.com/) , the TCJS website (http://www.tcjs.org/) and always of course check for highlights on Jazz Police (http://www.jazzpolice.com/). 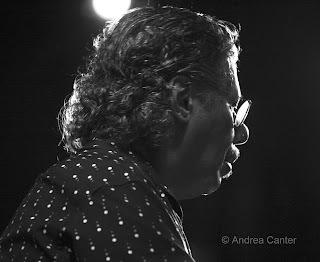 Coming soon—Chick Corea and Gary Burton at the Dakota (4/16-17), James Buckley Trio CD Release at the AQ (4/16-17); JazzMN Big Band with Bobby Shew in Hopkins (4/24); Anat Cohen Quartet at the Dakota (4/25). Indeed it is Brad Mehldau at the Dakota for another night, tonight, with his long-time trio with Larry Grenadier and Jeff Ballard. I'm hoping he'll give us a preview of some of his new material, just released on Highway Rider. And stay alert to information about his upcoming world premiere concert performance of this music at the Walker Art Center (which commissioned the work), featuring his trio and the St Paul Chamber Orchestra (November 5-6). Photo: Mehldau's trio, L-R, Jeff Ballard, Brad Mehldau, Larry Grenadier. Photo courtesy of Mehldau's press, by Michael Wilson. No, we definitely were at different shows. Rather than unsophisticated on stage, both singers, in their own very different ways, projected poise, sympathy for their subject, and in stretching their usual approaches, added dimension to their interpretations of Coward’s relationships. For Erin this included some sweet balladry; for Maud (whose typical sincerity has always been part of her charm), this meant some surprising moments of devilish subversion. And in the land of “Minnesota Nice” jokes, who can laugh at us better than we can? The sequences of song, the segues, the musical and narrated connections made “Why Do the Wrong People Travel (When the Right People Stay at Home)” (in tandem with "World Weary") the centerpiece of the show, and the perfect antidote to the trouble with being so earnest. Both Maud Hixson and Erin Schwab, as well as the instrumentalists (Rick Carlson, Jendeen Forberg, Keith Boyles and Gary Schulte handle the supporting music), have large and loyal followings in the Twin Cities, and Coward’s Women will both surprise and not disappoint. Those who find Coward a fascinating character should also enjoy this examination of his relationships through his own songs. Hopefully the right people will come to the theater and the right people will stay home. Not for those who fail to connect with sincere musicianship or who underestimate the range of that Midwest charm. Jazz in all its varied glory can be found throughout the Cities this week, from art galleries to jazz clubs to theater stages. On Tuesday I attended the opening of Coward’s Women, a Guthrie Theater production that brings together the “two sides” of the great and hip playwright/actor/songwriter/bon vivant. A musical revue, the talents of Maud Hixson and Erin Schwab converge in a well –paced, cleverly organized show that brings out the best in both singers. Maud, the model of subtle and tasteful expression, and Erin, typically bold and dramatic, play off each other’s strengths but add some delightfully surprising turns, Erin revealing a sweeter side, Maud showing a bright burst of brash theatrics (“Nina”), and the two harmonizing with utter charm. 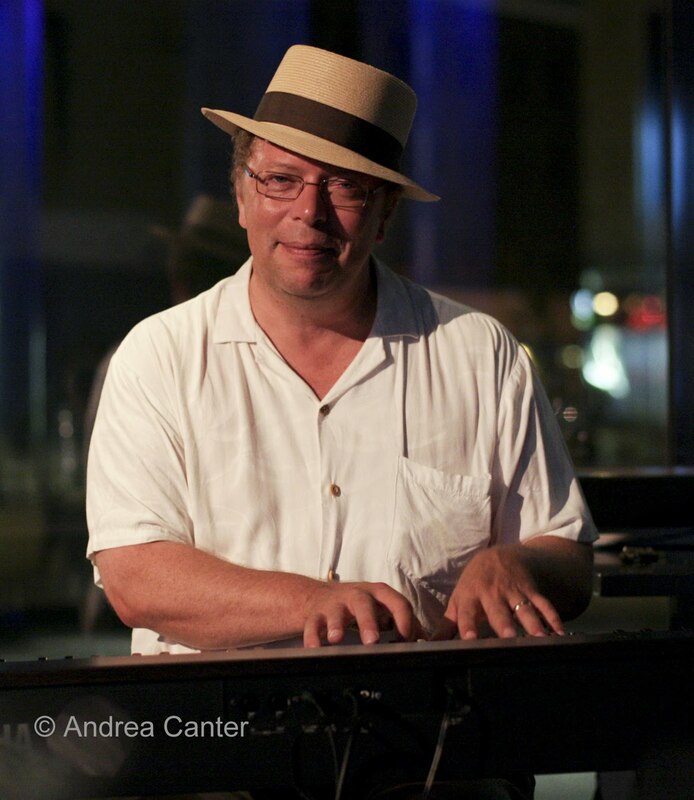 And don’t miss Music Director/pianist Rick Carlson’s so very hip narration. Two more nights at the Guthrie, Friday and Saturday (4/2-3), in the 9th floor Dowling Studio theater give you not only some great music but the best view of the city. From Noel Coward hip to the 21st century Gong Show stuffed into a small Nordeast art gallery? Japanese percussion monster Tatsuya Nakatani returns to Rogue Buddha on Saturday (4/3) for a reprise of 2009’s stunning experiments with a double dose of bass antics from Adam Linz and Chris Bates. The show in winter 09 was filled with new sounds and new visions, Nakatani surrounding himself with hanging gongs of all sizes as well as a variety of standard and unusual percussive devices. He performed a short solo set that began and ended with the largest, deepest gongs, joined Chris and Adam for some interactive hocus pocus, and yielded the floor to some solo and duo bass-ics. I recall Chris stuffing a toilet brush into the space behind the strings. The rumor is that Nakatani is bringing more gongs this time and, of course, you never know what Adam and Chris will think up next. It’s a small space with a large agenda. 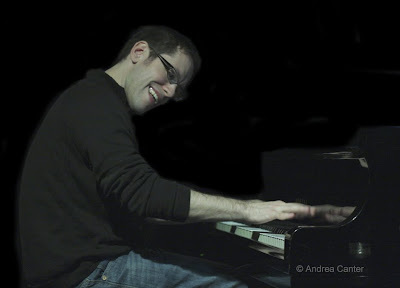 And it should end in time to follow Chris to the Dakota to join the Tim Sparks Trio (with Jay Epstein) in a Late Night series gig, playing music from Tim’s gorgeous Little Princess (Tzadik, 2009), music fusing jazz structures and East European folk melodies. This weekend also marks the return engagement of the Loba Ensemble/African Jazz Trio at the Artists Quarter (4/2-3), with Ivory Coast natives Loba (guitar) and Serge (bass) Akou, magicians in melding traditional African rhythms with modern jazz. Stokely Williams adds his own magic on percussion. Their December show drew raves. There may be no other modern jazz pianist with as much star press as Brad Mehldau. He’s not even 40 til later this year but he has amassed a discography that most veterans twice his age would envy, largely in trio format but with a few exciting collaborations (with Pat Metheny, Willie Nelson and Renee Fleming!) and a brand new large ensemble project (Highway Rider) with Joshua Redman. (I hear they will be at Walker next season.) Mehldau and his trio of Larry Grenadier and Jeff Ballard—heir apparent to the Keith Jarrett Trio in terms of longevity, telepathy and critical acclaim—will be at the Dakota for two nights, 4/6-7. Sometimes I think his reverence for form gets the best of him, but overall Mehldau’s compositions and improvisation, as well as impeccable technique and touch, make him a must-see among his generation of creative artists. Easter Sunday (4/4) might mean family gatherings but it also means special music at the Dakota. 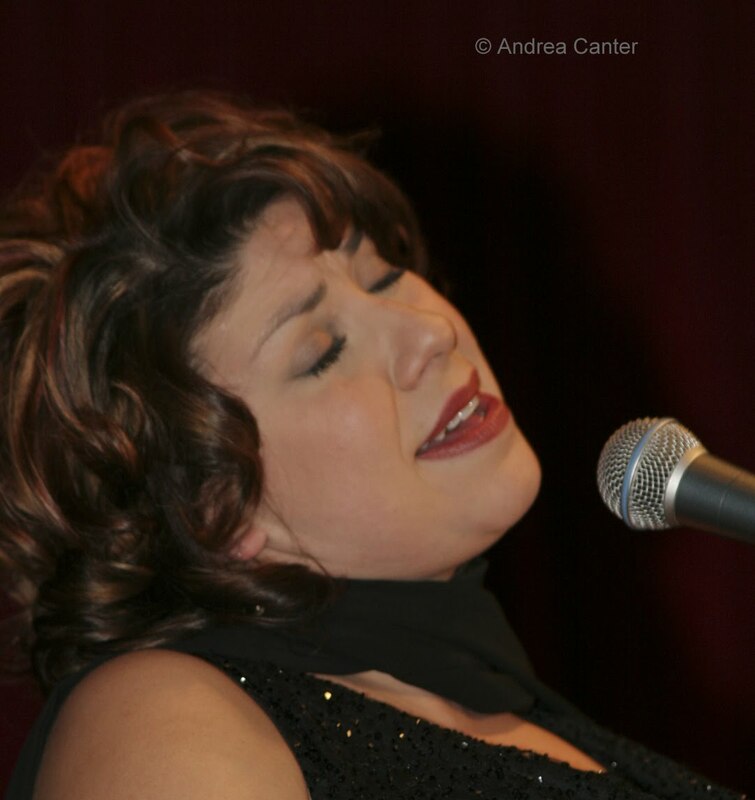 Brunchers will be treated to Maud Hixson with the Laura Caviani Trio (Gordy Johnson and Phil Hey) – some of the area’s favorite musicians who will be coming together for the first time. Hopefully this will be merely the start of something good. For Easter evening, what could be finer than the Sounds of Blackness? This is a large ensemble of award-winning voices, and the plan is to have varying combinations of singers to best fit the space on stage. Plenty more in the realm of experimental music this week—a CD release for Jello Slave at Open Eye Theater (Friday and Saturday, 4/2-3); Milo Fine Free Jazz Ensemble at the West Bank School of Music on Friday; Fat Kid Wednesdays in their usual Monday night slot at the Clown Lounge (4/5); and something—not sure what—will prickle your ears at the Clown on Tuesday (4/6). 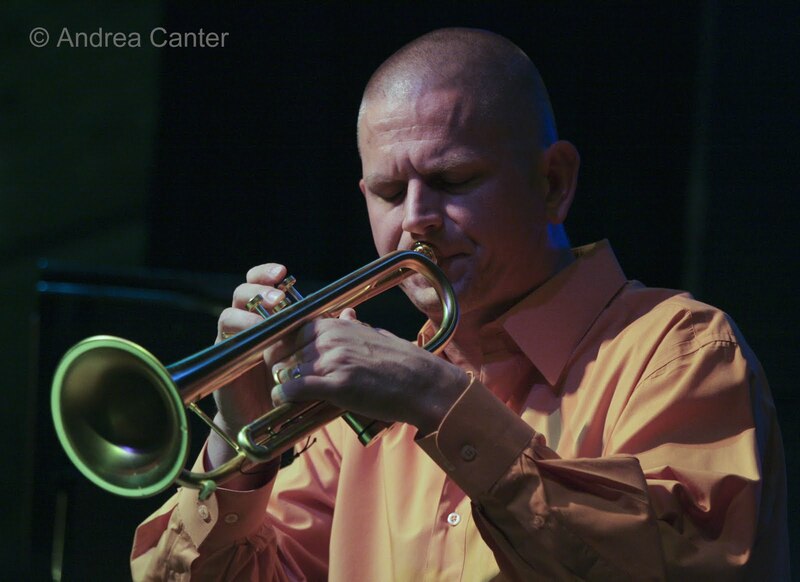 Perhaps less experimental but surely on the edge, the Easy Company ensemble returns to the Artists Quarter on Wednesday (4/7) with Bill Carrothers, Chris Bates and Jay Epstein reprising their 2009 CD release. Of course anytime Bill comes to town, it’s an exciting gig. 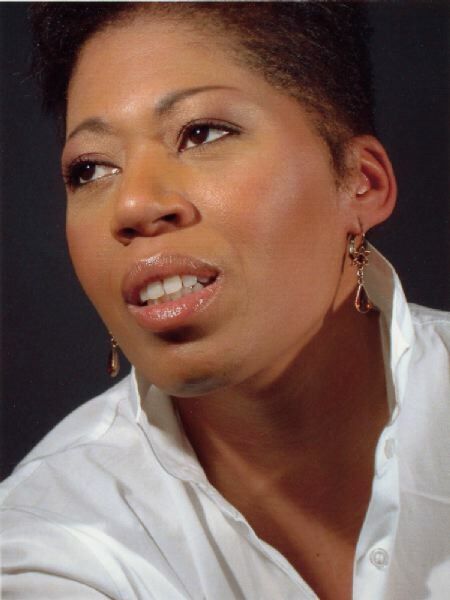 Also exciting is the collaboration recently initiated among vocalist Nancy Harms, pianist Bryan Nichols and bassist Chris Bates, which will be in the spotlight at Barbette in Uptown on Thursday (4/8). 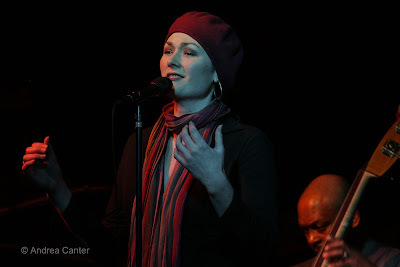 Nancy has steadily moved from competent swing to a more personal, unique approach to jazz vocals, and with such partners as Bryan and Chris, a “road less traveled” trajectory seems assured. 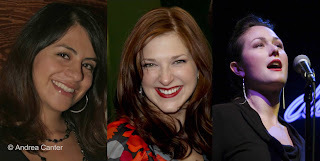 Other singers of note this weekend – see Nichola Miller at Hell’s Kitchen (4/2); Debbie Duncan with Laura Caviani Trio for a rare two-nighter at Crave in the Galleria (4/2-3), and Debbie with Mary Louise Knutson on Tuesdays at Camp Bar; Nancy Harms with Vital Organ at Hell’s Kitchen (4/3); Charmin Michelle at Crave in the West End (4/4) and at Fireside Pizza (4/5); Maxine Sousé with Doug Haining and Reynold Philipsek at Fireside Pizza on Wednesday (4/7). And the usual suspects—Joann Funk and Jeff Brueske at St Paul Hotel Lobby Bar (4/2-3), Zacc Harris Trio at Riverview Wine Bar (4/5), Tuesday Night Band at the AQ (4/6), Wolverines at Hell’s Kitchen (4/7), and Phil Hey Quartet at the AQ (4/8) -- keep great jazz a predictable benefit to living in the Twin Cities. Coming Soon! Part of the Jewish Film Series at the JCC in St. Louis Park, “The Jazz Baroness” details the life and jazz advocacy of Pannonica Rothschild de Koenigswarter (aka Nica), a life that included her longtime relationship with Monk and more (April 13); Chick Corea and Gary Burton reprise Crystal Silence at the Dakota (4/16-17); Joan Griffith/Clea Galhano/Lucia Newell and friends celebrate the CD release of Circle of the Dance at the Commodore (4/25); Soul Café returns for at least one gig at Hennepin Ave Methodist Church on 4/25; Anat Cohen Quartet salute to Benny Goodman at the Dakota, also 4/25; Ellen Lease, Pat Moriarty, Adam Linz and Phil Hey dream up all sorts of mischief at Studio Z on May 1.